How does your YouTube advertising stack up against competitors? Find out in our 2017 data report. Download the updated 2018 benchmark report for the latest insights. YouTube advertising metrics without context are just numbers: meaningless and self-congratulatory. Sure, you can (and should) compare your performance over time to know the success of one campaign from the next. But how do you know how you compare to your competitors? Enter the YouTube ad benchmark report from Strike Social. Download our full YouTube data report now to dive in. In this report, we analyzed YouTube campaign results from the past year to determine the average view rate, cost-per-view and view click-through rate across 25 industries. 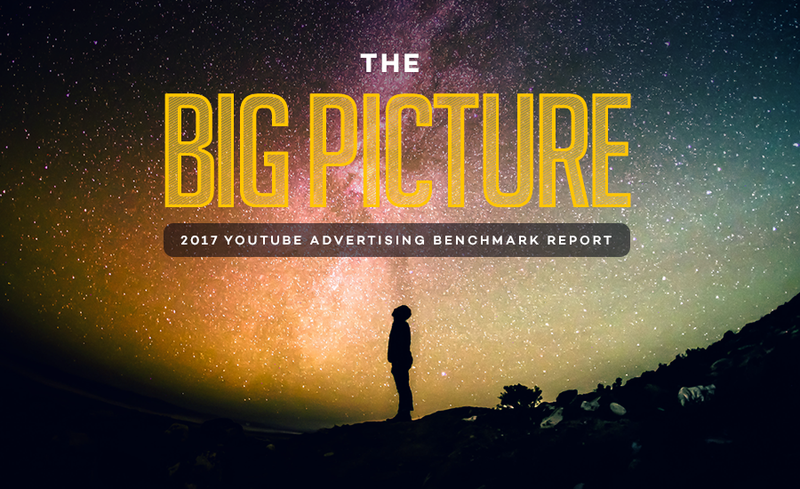 We also looked at different metrics around age, month, gender and more to give you the complete picture of what’s happening in the world of YouTube advertising. Across all industries, the average CPV is $0.044, with a VR of 27.7%. Most industries have a balanced VR, but CPV varies significantly from vertical to vertical. Is there an age bias among YouTube advertisers? YouTube is often viewed as a vehicle to reach younger audiences. While it’s definitely true that young audiences are engaged on YouTube, so are older audiences. In fact, audiences that are 45+ have a higher VR than those under 45. How does your brand stack up against other YouTube advertisers? It’s important to note that benchmarks shouldn’t be the end-all comparison point for your campaigns. They can, however, help take the pulse of your current results while identifying areas for improvement. Perhaps more could be invested in targeting older audiences. Maybe you need to rethink that mobile-first ad strategy. Start by immersing yourself in the data, and discover some truly actionable insights.